Originally constructed in 1914 as a University of Florida professor’s house, the building was nearly destroyed by a catastrophic fire in 1993. 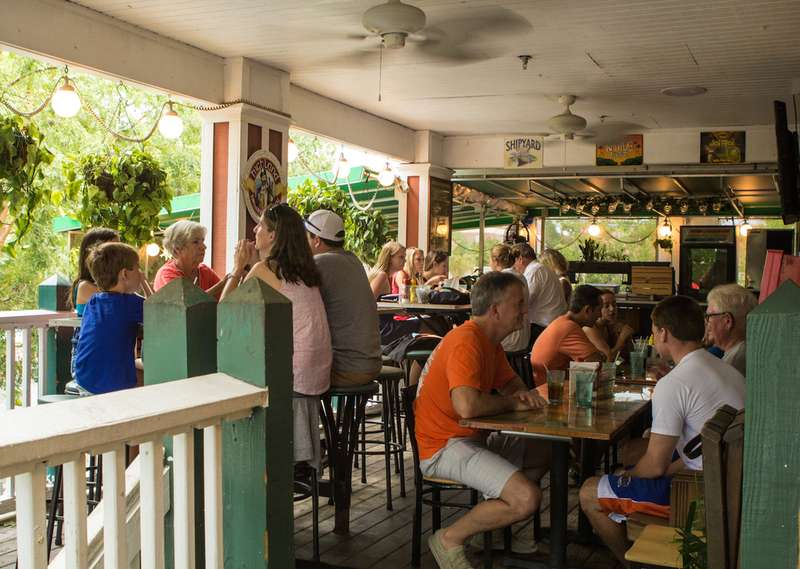 After a massive renovation we flung open the doors on December 30th, 1994 to a clamoring Gator Bowl crowd, and The Swamp Restaurant was born. Since that momentous day The Swamp Restaurant has grown to become a national landmark and a staple of the Gainesville community. We are so proud to have been at the center of some amazing history. From hosting hundreds of thousands of UF’s best and brightest, to countless beautiful afternoons on our Front Lawn, to thinking back on those unforgettable National Championships that still give us a thrill, all we can do is thank you for the incredible memories made and the chance to share many more together. to our ongoing legacy. Look inside to be a permanent part of the history! Reservations can be made Monday through Friday from 9 AM to 5:30 PM by calling Swamp Headquarters at (352) 380-9291. After hours or weekends please call The Swamp Restaurant at (352) 37-SWAMP (9267). We do not accept reservations on Game Days (football or basketball). Reservations are limited for fall and spring graduation, please call ahead early.